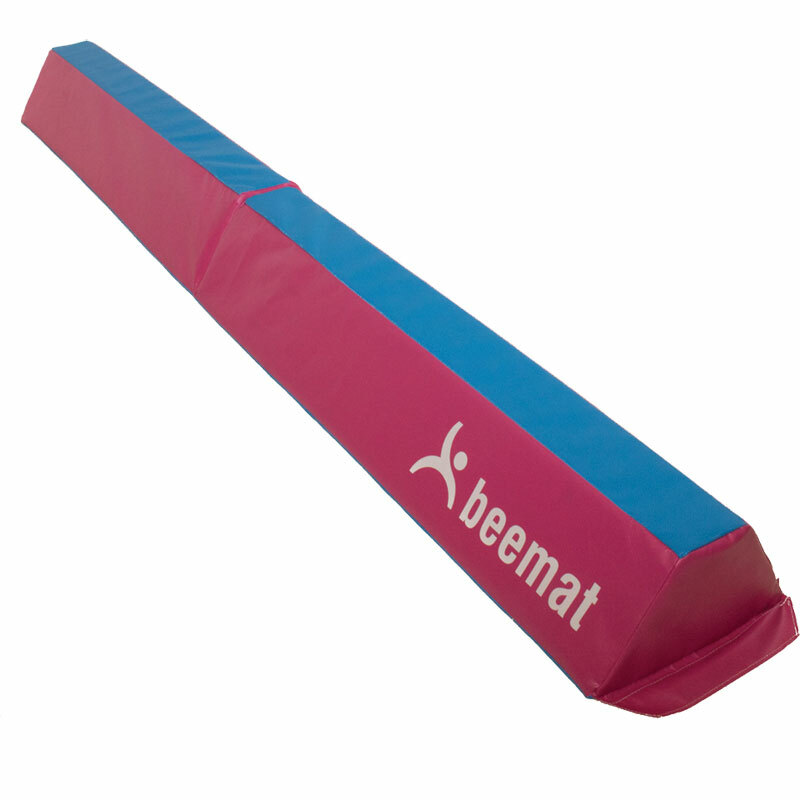 The Beemat ® Foldable Balance Beam is ideal choice if storage and transportation is a problem. Used for balance and precision, skill repetition, enhancing progression, pre-school gymnastics, home gymnastics, jumps and leaps, balances, spins, forward rolls, cartwheels, backwards and forwards walkovers, flicks, somersaults. It’s perfect for training new skills in a safe and fun way. Unfolded size 2m long x 150mm high x 300mm wide. Storage Size 1m long x 300mm x 300mm. This beam is great quality and very sturdy, we previously had a cheaper wooden beam with padding around it but my daughter Hurt her feet and ankles on it if she didn't land correctly. This beam is wider at the bottom so perfect if you miss the top bit as it doesn't hurt. The beam takes up more space than the other one when folded but gets used more often so I feel it's worth it. I am very impressed with the beam. It is a safe, sturdy, quality item. Although there are cheaper balance beams available, the quality and build of this item is obvious. We purchased the folding beam and find that it joins together well and folds away compactly. The most important feature in buying a beam was safety and I feel confident that my girls are safe whilst doing their gymnastics. I wouldn't hesitate to buy this item again.